One change was made before the draw on Monday as Conquero of Spain withdrew from both competitions, eliminating the need for a EuroLeague Qualifier. Reyer Venezia and Umea were automatically moved into the EuroCup regular season to fill the vacant spots, leaving a balanced set of qualifiers to determine the last eight teams. FIBA announced the teams in contention to play for its two pan-European competitions in the upcoming season on Wednesday ahead of the draw that will be conducted on Monday to determine groups and matchups. The number of teams exceeds the number of spots available again, so qualifying playoffs will need to be played unless teams pull out later. The number of countries involved at this point has increased again as well. Fifteen of the sixteen EuroLeague clubs will qualify automatically. The last spot will be determined by a playoff between Spanish upstarts Conquero and historical Polish giants Polkowice, who could return after some time away from the competition. Most of the teams that have already qualified are familiar names. The same three Russian teams, UMMC Ekaterinburg, Nadezhda Orenburg, and Dynamo Kursk return. Local powerhouses USK Praha of the Czech Republic, Schio of Italy, Wisla Krakow of Poland, and Avenida of Spain will be in the mix. France will have three teams again as Lattes Montpellier returns to join Bourges and Villeneuve. Sopron will no longer be the only Hungarian team as Gyor will join again after some time away. The big shakeup will be in the Turkish teams as Fenerbahce is back, but the surprise stories of last season take spots as well with Hatay and Mersin looking to build on their last campaigns. The loser of the two game playoff will drop down to the Western Conference (2) of EuroCup as they join 40 teams that applied for access to the other 31 spots. The other ten teams that have automatically to the conference include French sides Nice and Landes, and returnees Wasserburg from Germany, Lulea from Sweden, Nymburk from the Czech Republic, and Uniao Sportiva from Portugal. Castors Braine drops back down to this competition and fellow Belgian team Namur also returns. Girona also drops down from a higher level while a new Italian team joins the fray in the form of Virtus Eirene Ragusa. The last five spots in the conference will be determined by a set of playoffs with matchups still to be drawn. Charleville and Nantes from France, Valosun Brno from the Czech Republic, Reyer Venezia from Italy, Umea from Sweden, and Fribourg from Switzerland are some of the more familiar names. Gdynia is a new entry from Poland, while more German teams have applied in the form of Keltern and Freiburg, and a conglomerate Dutch team will be entered again, this time named Amsterdam Angels. The Eastern Conference (1) has twelve teams of its teams in place already. The competition will be fierce with several perennial EuroLeague teams dropping down as Good Angels Kosice from Slovakia and Galatasaray and Abdullah Gul University of Turkey will be involved. Maccabi Ashdod of Israel returns after an absence, joining regular participants like TTT Riga of Latvia and Pecsi and Miskolc of Hungary. Olympiacos of Greece and Hoptrans-Sirenos of Lithuania bring the competition to new countries. Three Russian teams also earned automatic bids as the more famous Spartak Moscow is joined by upstarts MBA Moscow and Dynamo Novosibirsk. Qualifiers for the last four spots include a number of teams that have participated frequently, including Enisey Krasnoyarsk and Chevakata Vologda from Russia. Two Hungarian teams are set for this round as Cegledi joins more consistent participants Pecs. Piestanke Cajky also joins in from Slovakia. Istanbul University will look to earn their spot back and are joined by two other Turkish teams as Samsun Canik Belediye and YDUBGD are also involved. Bourges held an eleven point lead from the first game as they returned home to face Villeneuve. They built on that lead for most of the game and were in firm control even as the visitors narrowed the gap to 54-53, handing the victors a 105-93 overall win. With the championship contested by two teams who dropped down from EuroLeague, it will be interesting to see if there are any tweaks in competition format next season. It was the first leg of the final on Wednesday as the knockout rounds conclude with the familiar format. Another battle of French foes was anticipated to be a grind and that was the case in the first game hosted by Villeneuve. Bourges was able to build an advantage in the second half after a poor second quarter, taking home a 51-40 lead. Celine Dumerc and Johannah Leedham were the only two players to reach double figures as the return game next Wednesday also figures to be a battle even with Bourges holding the advantage. Both series concluded on Friday as the teams switched venues. Bourges looked to have a safe lead going back to France, but Chelsea Gray had another key performance for Abdullah Gul University to win them the second game 67-60, which still left them losing 128-122. Villeneuve was expected to have an easy time in their second game even though they were visiting Landes. That turned out to be the case as they won the second game outright 70-54 to take the series 150-108. The finals will take place on April 6th and 13th under the same format as the rest of this stage of the tournament. The two French powerhouses will now get more chances to face one another for trophies this season. The two semifinal series will be played this week under the same format as prior knockout rounds. Both Game 1s were on Tuesday. Abdullah Gul University was able to take an early lead on Bourges at home, but the visitors built a solid lead in the win to carry a 68-55 margin back to France. The other series matched two more French teams with Villeneuve breezing to the 80-54 win over Landes at home. Both series will switch venues for the next game on Friday although neither series may end up being close. Most of the series concluded on Friday. Cappie Pondexter nearly helped Besiktas make another comeback, but a 71-63 win still left them short against Abdullah Gul University 142-139. Miskolc did end their tournament on a win 58-57, but that was not close enough with a 146-123 loss. Good Angels Kosice also cut into the deficit with a 68-60 win over Villeneuve, but lost 118-110 overall. Bourges also won the second game outright against Spartak Moscow to advance 131-120. Most of the series started on Tuesday. The battle of Turkish teams started with hosts Abdullah Gul University winnin 79-68 over Besiktas with Zoi Dimitrakou as the leading scorer. Villeneuve used their trademark balance and defense to beat Good Angels Kosice 58-42 without a double figures scorer. Also in France, Bourges takes a 68-58 lead on Spartak Moscow. The last series started on Wednesday in France as Landes handed Miskolc their first loss of the competition 89-65 with Iva Sliskovic leading the way. The format will be similar to other rounds of the knockout stages of the tournament with two games, one at the home of each team with scores aggregated to determine a winner. The major change this year is that the four teams progressing through the EuroCup season to this point will be joined at this stage by four teams that did not qualify for the next stage of EuroLeague. This will add competition to the tournament at this stage, but it raises the possibility that a team will be crowned champions without having gone through the whole competition. Game rules still apply at this stage so either game can end in a tie and overtime is only played in the second game and will only be played if the overall score is tied. How they got here: AGU Spor finished 6th in EuroLeague Group B and Besiktas JK finished 2nd in Group A. Besiktas, who were seeded 16th beat 1 seed Istanbul University 152-148 in the round of 16 and 8 seed Reyer Venezia 139-129 in OT in the Round of 8. Abdullah Gul University looked to be in prime position in EuroLeague, but almost failed to even qualify for this competition. They have seemed poised to recover from struggles several times this season, but have not been able to sustain momentum. If Chelsea Gray can continue her recent form, they will be dangerous in this round as they are deeper than their opponents. Besiktas is the story of the knockout round thus far, starting as the 16 seed and knocking out two opponents in dramatic fashion. They will be helped by having Cappie Pondexter to carry the team when they need it the most. Jelena Milovanovic has provided them with a reliable second option. While those two could carry their team, a reliable third option would certainly help their cause. Prediction: Besiktas has found a way to win series late since the knockout round started. They may lose the first game on the road, but look for Cappie Pondexter to carry them back at home and take them to the semifinals. How they got here: Landes finished 1st in Group F and was the 5 seed, beating 12 seed Edirnespor 150-148 in OT in the Round of 16 and 13 seed UFAB 49 118-92 in Round of 7. Aluinvent Miskolc finished 1st in Group G and was the 2 seed, beating 15 seed Lulea 176-134 in Round of 16 and 10 seed Nymburk 146-114 in Round of 8. Landes nearly failed to make it out of the first knockout round, but continue to motor along in the tournament. They lack some of the star power that other teams have, but their balance means that any one of a number of players can step up and control a game. Miskolc has won every game in the competition so far and yet still sneak under the radar. They have continued to add players to surround the frontcourt that has helped them so far. It seems unlikely to think that they will win eight more games outright, but with their confidence high at the moment, they should still find ways to advance against bigger name teams further into the competition. Prediction: Miskolc is riding a wave here both domestically and in this competition. The first game will be tough, but look for them to win both and complete an impressive sweep to keep their streak going. How they got here: ESBVA-LM finished 6th in EuroLeague Group A and Good Angels Kosice finished 5th in EuroLeague Group A.
Oddly enough, these two teams came from the same EuroLeague group and thus have already faced off twice. Each team won on their opponent’s home floor with Good Angels Kosice winning overwhelmingly in the second game. Villeneuve relies on balance and team play, but may have needed a little more star power to advance at the highest levels. Good Angels Kosice, on the other hand, has the veteran presence of Zuzana Zirkova directing traffic as Crystal Langhorne leads the frontcourt while Shenise Johnson provides additional scoring punch. This is a battle of teams that have generally had continuity in their rosters and the shared familiarity should make for two good games. Prediction: Both teams will be looking for redemption after dropping out of EuroLeague. While the Slovakian side is talented, the tougher games that Villeneuve has played recently will give them the edge in the first game and Good Angels Kosice will come up short even with a win in the second game. Bourges may be unhappy to have dropped down to this competition, but their veterans will still be looking to win some silverware. The core of the team has been together for a while and Celine Dumerc and Ingrid Tanqueray will take turns facilitating the offense. They stand in stark contrast to Spartak Moscow, which has no players born before 1991. The inside combination of Emma Meesseman and Maria Vadeeva has steered the team through all of its tests, but Meesseman’s departure may have derailed the team. In response, they did add Kayla Alexander and will hope that she immediately provides a boost to recreate the twin towers. Around them, the shooters on the wing will be key in keeping the offense flowing. Prediction: Young Spartak Moscow will have trouble in France with the experience of Bourges. The deficit that will likely result from the first game will be too tough to overcome in the second game even if the series is split. 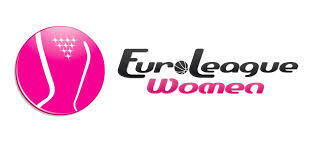 The quarter-finals will be played with the same format that determined the current final four teams from the EuroCup. There will be a home and away game with the side having the better aggregate score moving on to the Semi-Finals. The Semi-Finals and Finals will be played with the same format. The first leg of the Quarter-Finals is scheduled to be played on March 8th and the return leg on the 11th of March. The two teams that play in the finals will have the change to compete in the EuroLeague next season. One of the most interesting match-ups will be between cross country rivals Besiktas and Agu Spor Kayseri. In their domestic league Agu currently sits in fourth place while Besiktas is in eighth. However, Agu Spor were the biggest letdown in EuroLeague competition losing the last six games of their campaign after having a solid start while Besiktas won three of their last four and knocked off higher seeded Reyer to punch their ticket to the final four in the Eurocup Competition. Agu Spor beat Besiktas in Round 6 of the Turkish league and they face each other again on the 13th of this month. I have a feeling this game will have a higher level of importance and could be a confidence booster for either side going in the the quarter-finals. Two EuroLeague teams will face each other with Good Angels taking on Villeneuve d’Ascq. Villeneuve were EuroCup champions last season and will look to defend their title. Good Angels and Villeneuve split their EuroLeague matchup with both teams winning once against the other. Good Angels won more recently defeating Villeneuve on their home court by 30 points! This should give Good Angels a lot of confidence going up against the French squad. Bourges and Spartak should be an interesting matchup. An experienced Bourges with Celine Dumerc leading the way will be a tough matchup for the youthful Russian team. Leading the way for Spartak will be Emma Meesseman who is averaged 14.4 points, 9.2 rebounds and 3.0 assists per game in EuroCup play thus far! Spartak will have to play the first leg of the competition in France. If they can at least keep the game close, anything is possible once they return to Russia. The last two teams both competed in the EuroCup competition this season. Hungarian squad Aluinvent Miskolc will take on Basket Landes in the quarter-finals. Miskolc was the only team in the competition to finish the regular season undefeated. Landes finished with a record of 8-2. Miskolc are probably the favorites of this series but I wouldn’t count Landes out as they finished their season on a high note winning their last three games of the competition. Landes will play their first game of the series at home so hopefully they can pull out a win in front of their home crowd. Get a win at home, and anything is possible when you go into the second game with the advantage.